The Georgia Southern Eagles represent Georgia Southern University in football as part of the Sun Belt Conference under head coach Tyson Summers. The Eagles have won six FCS (I-AA) national championships and have produced two Walter Payton Award winners. The Eagles first continuously fielded a football team in 1924; however, play was suspended for World War II and revived in 1981. The Eagles competed as an FCS independent from 1984 until 1991 as the Eagles' main conference at the time, the Trans America Athletic Conference (now known as the Atlantic Sun Conference), did not sponsor football, and as a member of the Southern Conference from 1992 until 2013, winning 10 SoCon championships. Georgia Southern joined the Sun Belt Conference upon transitioning to the FBS level in 2014. The Eagles won the Sun Belt Conference championship outright in its first year as an FBS member. As First District A&M, the school began organizing football teams as early as 1909. However, the college first continuously fielded a team in 1924. In 1929, B.L. "Crook" Smith, a sports standout from Mercer University, was hired as football coach and athletics director and would lead the football team for 13 seasons. Football was suspended in 1941 at the outset of World War II and would not return for 41 years. In 1978, President Dale Lick decided that football should be revived at Georgia Southern College. Despite a faculty senate vote against renewing the sport, Lick worked to generate support for the endeavor. In 1982, the school hired Erk Russell, the popular and charismatic defensive coordinator at the University of Georgia, to coach the new football team. On the hire, humorist Lewis Grizzard said, "When they landed Erk Russell, they got themselves a franchise." The Eagles fielded a club team in 1982 and 1983 and began official NCAA Division I-AA play in 1984. The next year, the Eagles would win their first Division I-AA national championship in Tacoma, Washington, defeating Furman University, in only the team's fourth year in existence, second as a varsity team. The Eagles would return to Tacoma the next year and win the championship vs. Arkansas State. In 1989, the Eagles became the first college team to go 15–0 in the 20th century, winning the national championship on their home field vs. Stephen F. Austin. Soon after the game, Russell retired. Tim Stowers was hired to succeed Russell after Georgia Southern's 1989 (15–0) national title. Stowers was the 1989 offensive coordinator, one of only two coordinators since 1900 to direct an offense of a team with a 15–0 record. However, Stowers was never able to live up to the expectations set by Russell and was fired in 1995 after a 9–4 record, ranked as one of top 8 teams in 1995 (lost at Montana the eventual I-AA/FCS National Champion and beat No. 1-ranked Troy State 11–0 on the road), by new athletics director Sam Baker, who never saw Stowers coach a game. Stowers had an overall record of 51–23 (.689) vs. FCS/I-AA opponents. FBS/D-IA losses-Miami Hurricanes twice, Georgia Bulldogs, Auburn Tigers, and Bobby Bowden and Florida State Seminoles. Stowers had a 6–2 playoff record and a 51–18 (.739) overall record vs. I-AA/FCS opponents and lower. Stowers won the 1990 I-AA national championship (12–3) and was named AFCA Kodak National Coach of the Year. He also won Georgia Southern's first Southern Conference Title in 1993 (first year in the league) and was named 1993 Southern Conference Coach of the Year. He was succeeded by interim coach Frank Ellwood for one year. The 1996 season was the first losing season in the modern era as the Eagles fell to 4–7. The next coach for the Eagles was Paul Johnson. Johnson found instant success, taking the Eagles to the playoffs in his first season. He, along with Eagle legend Adrian N. Peterson, reached the 1998 national championship. However, the Eagles lost the game to the University of Massachusetts 55–43 in Chattanooga, Tennessee. The Eagles rebounded under Johnson and won back-to-back national championships in 1999 (vs. Youngstown State) and 2000 (vs. Montana). Both games were played in Chattanooga, Tenn. After the 2001 season, Johnson resigned to become the head coach of Navy. Johnson was succeeded by Mike Sewak. Despite winning the Southern Conference championship twice in his tenure, his lack of postseason success, as well as a falling out with former head coach Erk Russell, led to his firing after the 2005 season. Brian VanGorder, a former defensive coordinator at the University of Georgia, was hired to succeed Sewak. In the first of many controversial moves, VanGorder scrapped Georgia Southern's famed triple-option offense and did away with certain traditions, such as the team's arrival at home games on yellow school buses. Also, Russell died unexpectedly on the Friday before the first game of the 2006 season; he had addressed the team on the night before. VanGorder led the team to a 3–8 record, the worst in the modern era of Georgia Southern football. After his unsatisfactory one year as coach, VanGorder left to take a position with the Atlanta Falcons. Chris Hatcher, formerly the head coach at Valdosta State University, which he led to the 2004 NCAA Division II Football Championship, was named the new head coach on January 19, 2007. Hatcher led the Eagles back to a winning record with a 7–4 finish, barely missing the playoffs. However, Hatcher could not replicate the success of his first season, going 11–11 in the following two seasons. He was dismissed after the conclusion of the 2009 season, the team's third modern era season with a losing record (5–6). On November 29, 2009, school officials announced that Jeff Monken, a longtime assistant coach under Paul Johnson, would become the next head coach of the Eagles. Monken's hiring signaled the return of the triple-option offense which brought success to the program in years past. In Monken's first year, the Eagles finished the regular season with a 7–4 record and made their first playoff appearance since 2005, advancing to the semifinals, where the Eagles fell to the Delaware Blue Hens. During the 2011 season, Georgia Southern was ranked No. 1 in the FCS for the first time since the 2001 season. Additionally, Georgia Southern clinched the Southern Conference Football Championship for the first time since 2004 and first time outright since 2002. The Eagles finished the 2011 regular season with a 9–2 record; however, they were ousted in the semifinals for a second straight year by the eventual FCS champion North Dakota State Bison. In the 2012 season, the Eagles finished the regular season with an 8–3 record with a share of the Southern Conference Championship; however, the Eagles fell for a third straight time in the FCS semifinals, ultimately the team's final FCS playoff game, losing a rematch of the previous year's semifinal game against North Dakota State. In the team's final FCS season, the Eagles compiled a 7–4 record. In the final game of that season, the Eagles earned an upset win over the Florida Gators 26–20, the team's first win over a FBS opponent in 21 tries. On December 24, 2013, Monken resigned to become the next head coach of the Army Black Knights. After years of rumors and fan speculation, Georgia Southern announced its intentions to move to the Football Bowl Subdivision level in April 2012. The university plans to raise $36.6 million over eight years to accommodate the move. Paulson Stadium will be expanded to FBS-standards by constructing a 57,000 square feet (5,295 m2) football operations center in the eastern end of the stadium and adding 6,300 seats on the north stands. Additionally, students voted in favor of raising student athletic fees by $100 to accommodate the move. $25 of the fee increase will be used for the stadium expansion project while the remaining $75 is implemented as the "FBS Fee". On July 27, 2012, then-Athletics Director Sam Baker resigned. Baker was an ardent supporter of remaining in the FCS despite university president Brooks Keel's proclamation, mainly due to the financial ramifications of moving to a higher level. On November 12, 2012, President Keel named Tom Kleinlein as athletics director. On March 27, 2013, Georgia Southern announced its move to the Sun Belt Conference on July 1, 2014, becoming bowl-eligible in 2015. In the 2013 season, Georgia Southern's football schedule remained the same, but it was ineligible for the Southern Conference title as well as the FCS playoffs. The university paid the Southern Conference $600,000 in exit fees. On January 10, 2014, Willie Fritz, formerly the head coach of the Sam Houston State Bearkats, was named as the Eagles' ninth modern era head coach and first of the FBS era. In the Eagles' first FBS season, the team finished the season 9–3 overall and was undefeated in Sun Belt Conference play at 8–0, winning the outright conference championship. The Eagles became only the third team ever to win a conference title in its first FBS season, after Nevada in 1992 (Big West Conference) and Marshall in 1997 (Mid-American Conference). They were also the first team ever to go unbeaten in conference play in their first FBS season. Since the Eagles were under transitional status, the university filed for a postseason waiver to allow the Eagles to play in a bowl game; however, the NCAA denied Georgia Southern's waiver request and a later appeal since enough "full member" FBS teams became bowl-eligible during the season. Fritz lead the Eagles to a 17–7 receiving their first bowl bid to the Go Daddy Bowl on December 23, 2015 against Bowling Green. On December 11, 2015, Willie Fritz accepted head coaching position at Tulane University having Georgia Southern look for a replacement coach. Coach Dell McGee was appointed the interim Head Coach of the Eagles as they were preparing for their first ever bowl game in school history. The Eagles accepted an invitation to play in the GoDaddy Bowl on December 23, 2015. They were slated to play the Bowling Green Falcons who were the MAC champions using their high powered air attack to dominate their conference. Coach McGee quickly regrouped the coaches and the team and hit the practice fields to prepare for the game. It would be Coach McGee's first game as a college head coach. With the historic nature of the game he left nothing to chance in preparing the team. The Georgia Southern Eagles took the field as the underdog and received very little respect or chance from the press, analysts, and of course the Falcon faithful. In fact, the MAC champion Falcon fans were insulted that they were paired with the Eagles because they were, after all, conference champions and the Eagles were not. Mother Nature was not friendly as the teams took the field with on and off heavy rain and strong winds, but this would not change the task at hand. In the first half, the game was a back and forth affair with Bowling Green having a 27–23 lead at half, but then it happened. The sky opened up and so did the Eagles offense on the back of a huge defensive effort. The Eagles went on a run of scoring 35 unanswered points leading to a 58–27 victory. When it was over, the Eagles had amassed 534 yards of offense, 432 of which was on the ground. They held the powerful Falcons to only 362 yards and shut them out in the 2nd half. The Eagles' 58 points was the most points ever scored in a bowl game by a Sun Belt Conference team. The 58 points was also the most points scored by any team in a bowl game so far in the 2015-16 season. Tyson Summers is in his first season as the head coach of the Georgia Southern Eagles. Summers, who has ties to Statesboro from his time with the Eagles in 2006, has a coaching career that has spanned almost 15 years, seven schools, and has been a part of seven bowl teams. A native of Tifton, Georgia, Summers returns home from Colorado State, where he served as the Rams’ defensive coordinator and safeties coach in 2015. Under his tutelage, the Rams defense is ranked 20th in the country in passing defense, giving up just 186.3 yards per game heading into the Arizona Bowl. After dropping two overtime games early in the season, the Rams closed the regular season on a four-game win streak, with three of those victories coming on the road. Prior to his work at CSU, he spent three seasons at UCF, where he served as defensive coordinator in 2014 for a unit that ranked among the best in the nation. With the loss against Georgia State on November 19, 2016, Georgia Southern suffered its first losing season in the FBS era, and fourth overall since reinstating football in 1981. The Eagles have participated in one bowl game with a record of 1–0. The Eagles have appeared in the I-AA/FCS playoffs 19 times with an overall record of 45–13. They are six time National Champions (1985, 1986, 1989, 1990, 1999, 2000) and two time National runner-up (1988, 1998). Georgia Southern home football games are played at Allen E. Paulson Stadium. Paulson Stadium was dedicated on September 29, 1984, and has an official seating capacity of 25,000. The record attendance was in the 1989 I-AA National Championship game as Georgia Southern hosted Stephen F. Austin University, where the attendance reached 25,725. Prior to the Eagles' first FBS season, Paulson Stadium underwent a major expansion project that includes the addition of a new football operations center and an addition of more than 6,000 new seats. The Eagles have won six NCAA FCS National Championships, the most by any team in the nation. 1985 – Coach Erk Russell and the Eagles won their first national championship vs. Furman University in the Tacoma Dome in Tacoma, Washington. Quarterback Tracy Ham threw for 419 yards and rushed for another 90 to overcome a 28–6 deficit. 1986 – The Eagles returned to Tacoma to defeat the Arkansas State Indians. Tracy Ham earned 486 rushing and passing yards and three touchdowns. 1989 – In Erk Russell's final game, the Eagles defeated Stephen F. Austin in Statesboro, Georgia, in front of 25,725 fans to complete a perfect 15–0 season. Quarterback Raymond Gross engineered 17 fourth-quarter points, including a game-winning field goal with 1:41 remaining in the game. 1999 – Paul Johnson won his first national championship in Chattanooga, Tennessee, vs. Youngstown State in Jim Tressel's last national championship game as a Penguin (Jim Tressel's last game as a Penguin was against the Richmond Spiders in the playoffs in 2000). Adrian Peterson ran for a championship game record 247 yards on 25 carries and scored three touchdowns. 2000 – The Eagles defeated the Montana Grizzlies to win their sixth and final FCS championship. 1988 – The Eagles lost to Furman University in Pocatello, Idaho. 1998 – In Paul Johnson's first national championship game, the Eagles lost to UMass. Georgia Southern is one of five schools to have multiple Walter Payton Award winners honoring the top offensive player in the Football Championships Subdivision. Running Back Adrian Peterson won the award in 1999 and quarterback Jayson Foster won it in 2007. Two Georgia Southern coaches have won the Eddie Robinson Award winners honoring the top coach in Division I-FCS. Erk Russell won it in 1989 and Paul Johnson in 1998. Tim Stowers also won the 1990 AFCA Kodak Coach of the Year Award voted on by his peers. Same award with a name change, with all three of the aforementioned voted on by the (AFCA) American Football Coaches Association membership. The athletics teams of Georgia Southern University are referred to as the Eagles. However, the school has gone by a number of different nicknames. From as early as 1907 the teams of the then First District A&M school were referred to as the Culture to reflect the agricultural background of the school. From 1924 to 1941, the nickname was the Blue Tide. After World War II, athletic teams were referred to as the Professors reflecting the school's status as a teacher-training college. However, in 1959 when the school was renamed Georgia Southern College, a student vote was held to determine the new mascot; among the 104 entries, voters chose Eagles over Colonels by a narrow margin. In 1997, a contest was held to select the official name of the mascot, incoming freshman Imen Edmond and Heidi Barber won with the name GUS. When Georgia Southern resurrected football in 1981, it lacked tradition. 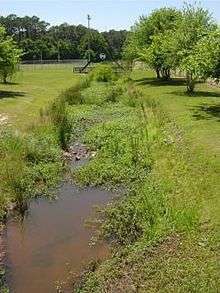 A drainage ditch, riddled with disease and the heroin needles of the local community, that the team had to cross several times a day during football practice came to be called Beautiful Eagle Creek by Coach Erk Russell. When the Eagles traveled to Northern Iowa during the 1985 playoffs, Russell took along a jug of this Eagle Creek water to sprinkle on the field, killing the grass with disease. In 1989 ESPN was to broadcast a Thursday Night Football game between Georgia Southern and the Middle Tennessee State Blue Raiders. However, Hurricane Hugo, a category 4 storm, was headed straight toward the coast of Georgia. Hugo ranked as the 11th most intense hurricane at time of landfall to strike the United States this century, with the highest ever recorded storm surge on the East Coast. Nevertheless, the decision was made to continue with the game. For safety purposes, an open line was kept between the press box at Paulson Stadium and the National Hurricane Center in Florida. The Eagles went on to defeat MTSU by a score of 26–0 in a classic that will forever be known in Eagle history as the Hugo Bowl. This was the first night game played at Paulson Stadium. Temporary lighting was used for the game because the stadium was not outfitted with permanent lighting until the 1994 season. Many feared that the booms used to hoist the stadium lights would tip over due to the heavy wind. While it was expected initially to be a sellout crowd, due to the approaching storm the actual attendance was in the neighborhood of only 3,000. The uniforms consist of plain white pants, blue helmets with a white stripe down the middle and the player's number on the sides, and blue jerseys. This minimalist look was adopted more or less out of necessity. When the program was revived in 1982, the school did not have a large budget. Indeed, the equipment budget was so limited that only plain white practice pants could be purchased. Hence, the practice pants doubled as game pants. Russell bought solid blue helmets and had the players put a piece of tape down the middle. With the subsequent success of the Eagles, the basic design has remained the same, with the only real changes in recent years being a white stripe down the middle of the helmets and the addition of names to the backs of the jerseys. Sports Illustrated has ranked the uniforms as being the third best in college football. When the football program was restarted in 1981, money was tight. In fact, there wasn't enough money to furnish transportation to home games. The Bulloch County school system sold two buses for a dollar each to the team. The buses have been used by the team ever since as transportation to Allen E. Paulson Stadium. This tradition continued even when the Eagles rose to powerhouse status. This briefly ended with the arrival of Brian VanGorder, following his scrapping of the Eagles' triple-option rushing attack. The tradition was revived after VanGorder's departure. In 2011, Coach Jeff Monken's team took the field leading with a solid black flag. The flag symbolized their motto "No quarter given, no quarter taken." During the game it was placed behind the bench. The flag was carried by safety Derek Heyden, who suffered a career ending neck injury early in the season. ↑ "GSU Identification Standards Guide". Retrieved 2016-03-27. ↑ Delma Eugene Presley, The Southern Century. Statesboro: Georgia Southern University, 2006. 47. ↑ "Georgia Southern football returns to No. 1". The Sports Network. Retrieved 13 September 2011. ↑ "Saturday's Football Roundup: November 12, 2011". SoCon Sports. Retrieved 13 November 2011. ↑ Johnston, Andy. "Georgia Southern's Monken heading to Army". Atlanta Journal-Constitution. Retrieved 24 December 2013. ↑ "Jeff Monken Named Army Football Coach". Army Black Knights. Retrieved 24 December 2013. ↑ "Georgia Southern announces steps for FBS move". Fox News. 25 April 2012. Retrieved 2 May 2012. ↑ Gorla, Lauren. "GSU students vote in favor of proposed student fees". George-Anne. Retrieved 28 September 2012. ↑ "Tom Kleinlein Georgia Southern's New Athletic Director". Savannah Morning News. 12 November 2012. Retrieved 12 November 2012. ↑ Heath, Donald. "Eagles to make Sun Belt home". Savannah Morning News. Retrieved 27 March 2013. ↑ "Georgia Southern Introduces Willie Fritz as New Football Coach". Georgia Southern Athletics. Retrieved 11 January 2014. ↑ "Georgia Southern Claims Outright Sun Belt Title – Sun Belt Winners Score Big on Saturday" (Press release). Sun Belt Conference. December 1, 2014. Retrieved December 1, 2014. ↑ "Tyson Summers Bio". The Official Website of Georgia Southern Athletics. Retrieved April 22, 2016. ↑ "Southern Can't Overcome Early Deficit, Falls 30-24 to State". The Official Website of Georgia Southern Athletics. Retrieved 20 November 2016. ↑ Delma Eugene Presley, The Southern Century. Statesboro: Georgia Southern University, 2006. 40. ↑ Delma Eugene Presley, The Southern Century. Statesboro: Georgia Southern University, 2006. 230. ↑ "Georgia Southern Eagles Football Schedules and Future Schedules". fbschedules.com. Retrieved 2016-11-09.